It is a amusing museum. A lot of art, sculptures and painters. I did love the impressionists: Van Gogh, Gustavo Klimt, George Seraut, Claude Monet........a lot of them. I saw originals that I could not imagine and was no expecting. One of the best museums that I know. I want to come back. Tingle your imagination at a museum that contains a world-class collection of history and arts. Housing over 2 million works, this impressive landmark can easily take up an entire day. There are 17 separate departments, featuring works of art and antiquities from ancient Egypt, Europe, Asia, America, Greek and Rome, Islam, and more! Your admission pass will provide you with admission to the three buildings of the museum: The Met Fifth Avenue that is one of the world's largest art galleries, The Met Breuer that is an expansion of the museum's modern and contemporary art program, and The Met Cloisters which features an extensive collection of art, architecture, and artifacts from Medieval Europe. If you're tired from strolling the massive museum, head on to the rooftop bar where you can grab a quick drink with a magnificant view. 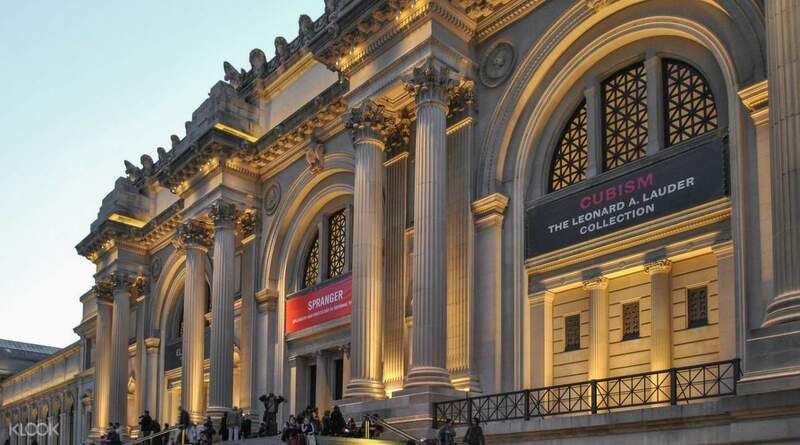 Visit one of the largest art museums in the world! This is a stop you cannot miss in NYC. 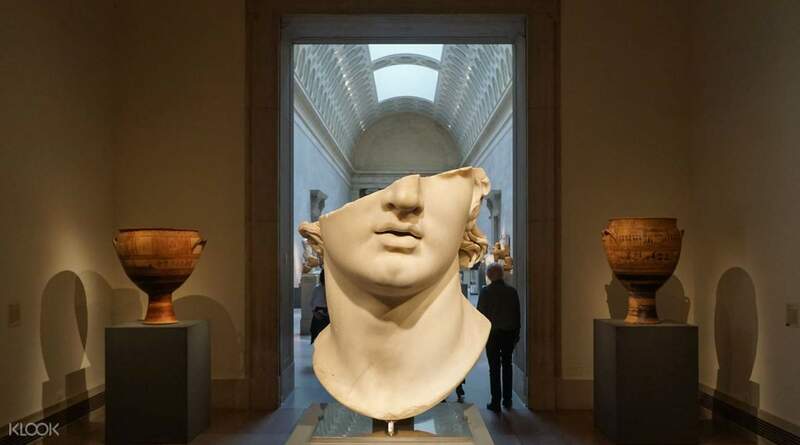 Make sure you have enough time to go around the MET. 3 hours is great. Half a day is better. Or stay for an entire day. Theres so much to see and learn and the collections they have is second to none. This is a stop you cannot miss in NYC. Make sure you have enough time to go around the MET. 3 hours is great. Half a day is better. Or stay for an entire day. Theres so much to see and learn and the collections they have is second to none. Huge museum with lots to see. No problem to exchange voucher for tickets att the information desk or the group ticket counter. The activity will take all day so dont spend to much time on every exhibition. Rember your ticket gives you acces to all 3 museums (valid for 1 day). Huge museum with lots to see. No problem to exchange voucher for tickets att the information desk or the group ticket counter. The activity will take all day so dont spend to much time on every exhibition. Rember your ticket gives you acces to all 3 museums (valid for 1 day). It was so easy to purchase this pass online and claiming it at the information booth skipping the lines. 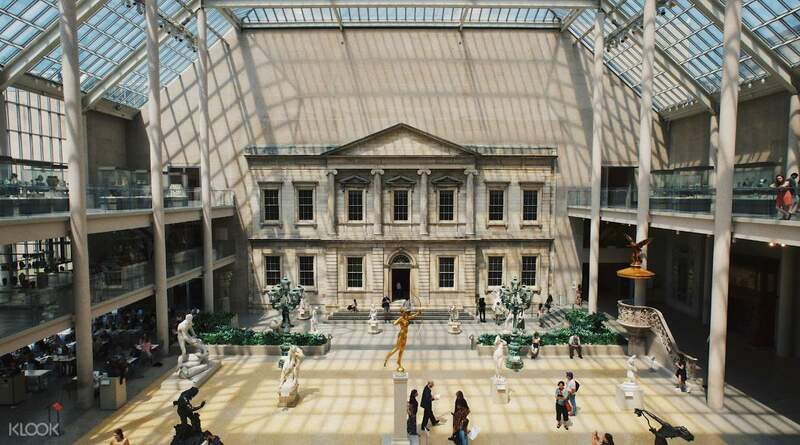 The Met is huge so try to get a map and plan where to go and how to spend your time wisely. Must sees are the Egyptian, European and Asian galleries! It was so easy to purchase this pass online and claiming it at the information booth skipping the lines. The Met is huge so try to get a map and plan where to go and how to spend your time wisely. Must sees are the Egyptian, European and Asian galleries! I will definitely come back here. I arrived around 3 and totally regret it as its already so late i thought two hours to go around is enough. Kids will love it. I think naybe half a day should be alloted to this. I will definitely come back here. I arrived around 3 and totally regret it as its already so late i thought two hours to go around is enough. Kids will love it. I think naybe half a day should be alloted to this. 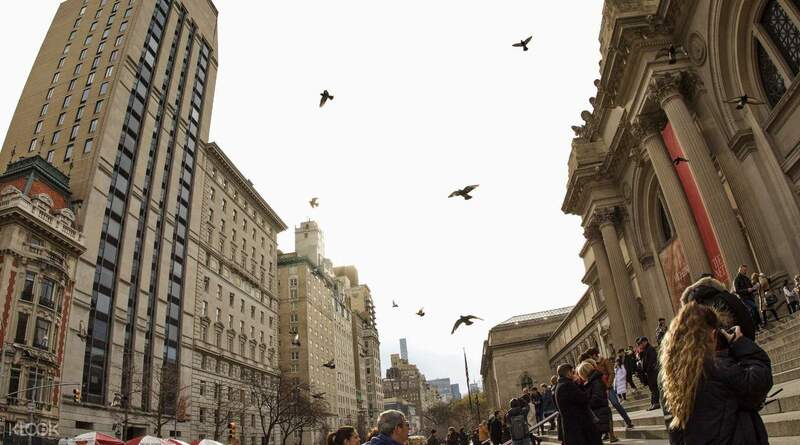 An itinerary that you can't miss during your visit to New York. A huge museum with vast amount of collection from all over the world. Worth every bucks for the ticket. An itinerary that you can't miss during your visit to New York. A huge museum with vast amount of collection from all over the world. Worth every bucks for the ticket. Allows you to bypass the ticket lineups, expect to spend at least a few hours here. Downside is that you can only visit on one day, regular ticket will allow you to visit over three days. It is impossible to see everything! Allows you to bypass the ticket lineups, expect to spend at least a few hours here. Downside is that you can only visit on one day, regular ticket will allow you to visit over three days. It is impossible to see everything! It was the Christmas Season actually 2 days before Christmas and a Sunday at that so the MET was full of tourist and locals alike. Buying the ticket from Klook was a great idea as we were able to breeze through the line in ticketing and just showed our voucher code, saving us a lot of time. It was the Christmas Season actually 2 days before Christmas and a Sunday at that so the MET was full of tourist and locals alike. Buying the ticket from Klook was a great idea as we were able to breeze through the line in ticketing and just showed our voucher code, saving us a lot of time. Definitely a must do if you are in NYC. Rated as one of the best museums in the world with many relics from the past dating BC. Simply amazing and beautifully presented inside. Highly recommended tour with the family, kids or couples. Definitely a must do if you are in NYC. Rated as one of the best museums in the world with many relics from the past dating BC. Simply amazing and beautifully presented inside. Highly recommended tour with the family, kids or couples. Amazing museum, with a very diverse impressive collection. Especially the European art and the Egypt collection we loved very much. Ticket bought through klook were very easy to use. Amazing museum, with a very diverse impressive collection. Especially the European art and the Egypt collection we loved very much. Ticket bought through klook were very easy to use.